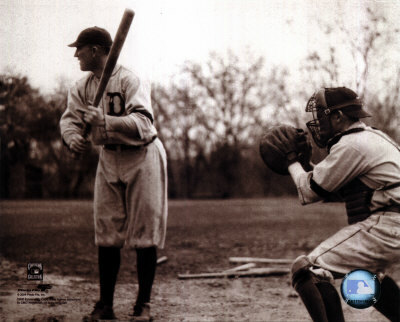 The Swings of Babe Ruth and Ty Cobb. Why aren’t there More of Them? In the annals of sports the names Ty Cobb and Babe Ruth carry weight. Their accomplishments and fame extending far beyond the baseball diamond. Cobb was considered the best who ever played the game. And then came Ruth. Ruth is generally recognized as the greatest athlete of the 20th Century (or at least Top 3). 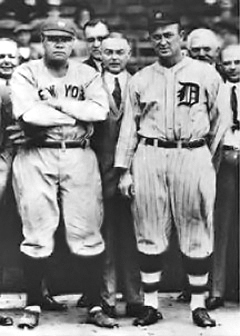 Both Cobb and Ruth were well-rounded in their baseball skills. Cobb could run the bases like no one before, or since. Ruth was a record-setting pitcher before being moved to the outfield in order to better take advantage of his hitting. Ruth and Cobb made their names as hitters. What has always fascinated and bewildered me is that in spite of their prolific accomplishments at the plate Ruth and Cobb had no imitators. Since their time as icons of baseball in the early 20th Century no one else has come along emulating some of Ruth and Cobb’s unique styles. I see this a lot in life. People come along in various fields and do something different from what everyone else is doing and they accomplish great things. And…then…nothing. No one follows the Master. No one imitates that which well accomplished people perform and subsequently continue with similar success. I’ve often wondered why that is. 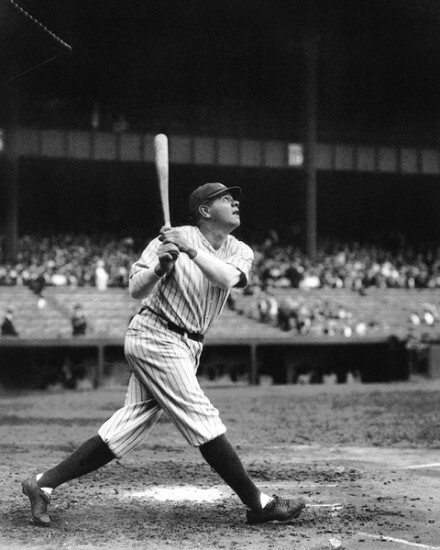 Ruth’s batting stance featured him standing in the batters box with his spindly little legs and feet together, holding the bat very low, his hands at about waist level. He then stepped into the pitch, raised his bat and unleashed a powerful swing using his entire body for greater force. His follow through left his body twisted in such contortion that he resembled a human barber’s pole. Several aspects of this stance and swing have never been duplicated. And yet when he finished playing Ruth’s 714 career home runs were so overwhelming that 2nd place on the career home run list was Lou Gehrig with less than half Ruth’s total. Because of the age in which Cobb played video and photo’s of his “style” are much more rare. But what is certain is that Cobb swung the bat with a split grip. He says it gave him better control of the bat, as you would expect by simple analysis and the laws of leverage. Instead of holding the bat during his swing with his hands near the bat’s base, side-by-side with each other or slightly overlapped like all other hitters, Cobb gripped the bat with one hand NEAR the base and the other 3-5 inches higher on the handle. He retired with 4189 hits in 24 seasons. In 500 more career games Pete Rose finally surpassed Cobb’s total, finishing with 4256. Rose and Cobb are the only ball players to ever exceed 3800 hits. Still, do you ever see a hitter swinging the bat with Cobb’s split grip? I watch a lot of baseball. I don’t see it. For thirteen years I worked in sales for a 30-year-old company in Bellevue, WA before starting my company Total Broadcasting Service. I’m proud to say I led all the company’s 40+ person sales staff in annual sales for the last seven years of my employ. With all humility I set every sales record the company recorded and outsold whomever was in second place usually by 15-20%. My success wasn’t based on longevity as most of the company’s top sellers were with the company before I began in 1992. It wasn’t based on any kind of favoritism. Nobody would EVER have accused my Sales Manager or General Manager of grantingme any favors. My success came from a presentation style and from a manner in which I managed my accounts that was unlike anyone else. I always tried to share my methods with others. But few were interested, and none adopted them. It perplexes me to this day. Many if not most of my sales accomplishments with my company and the one I worked for previously are done over the phone, inside-sales. 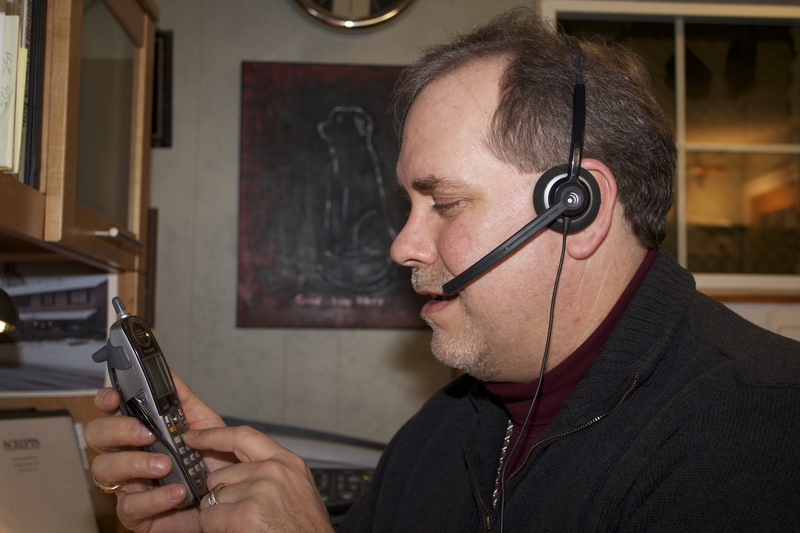 The less knowledgeable would call it telemarketing. The profession is held by some in similar esteem as that of lawyers, politicians, and professional thieves. That might be an exaggeration. But the point is, recruiting people to the industry has been a constant challenge in the 20 years in which I’ve been employed in it. This in spite of a life and lifestyle which is the envy of many. But do as I do? Seemingly the answer is “not me”. 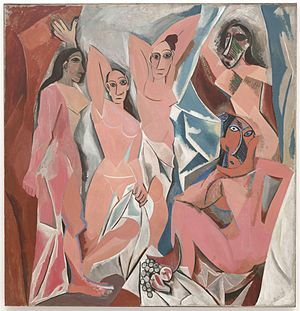 Are there a lot of Pablo Picasso imitators out there? His Cubist style of painting was radical and became beloved; and he is renowned as THE painter of the 20th Century. Yes, some have attempted Cubist stylings. But they’re rare compared to other forms of abstract paintings. What about Steve Jobs? His over-emphasis on style contributed to Apple computer pricing far exceeding that of a computer with the more popular Window’s operating system. But that specific emphasis on style and appearance spreading to Apple’s other hardware products is a major reason Apple is now the richest company in the world. Any yet…do any other computer manufacturers place ANY emphasis on their hardware’s style and appearance? Not really. And before I hear from detractors, I don’t equate me or my accomplishments with those of Ruth, Cobb, Picasso or Jobs. I’m merely relating personal experiences and observations that are first hand. I could go on and on. It’s true that a “Master’s” uniqueness is part of what makes them special. But in measured accomplishments where a success approach is capable of being emulated it should be. Imitation may be the highest form of flattery. But all things considered, we should be flattering our most successful people more often. Is there someone in your field who far exceeds the accomplishments of the masses? 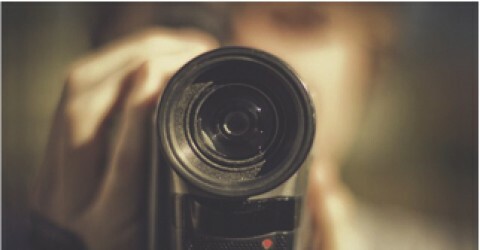 My advice is to find out what they do and how they do it and copy or imitate as much as you possibly can.